Cusco has many of the most amazing places in South America and some of the most impressive in the world; archaeological and historical sites, astonishing natural landscapes, culture everywhere and its streets, shared by people from all over the world. There are many places you can and want to visit while in Cusco. To enter Machu Picchu you will need to book tickets in advance, especially the one that includes the Huayna Picchu mountain. For places like Sacsayhuaman or Pisac you do not need to book tickets in advance, but if you need to know how to buy the Cusco tourist ticket. But there are also very interesting free activities, which will allow you to get more involved in the culture and to know from inside the city of Cusco. These are the 7 free activities that you can enjoy in Cusco. The streets of the city of Cusco are one of the best examples that borders exist only in the heads of people; you can meet people from all over the world in the Main Square of the Cusco, have breakfast with them in San Pedro market or enjoy art in the San Blas artists district. The Main Square is the center of the enormous “open-air museum”, known as the historic center of Cusco; the nearby streets are flooded with historical sites, museums, churches and thousands of people from all over the world enjoying the culture and contributing to it. 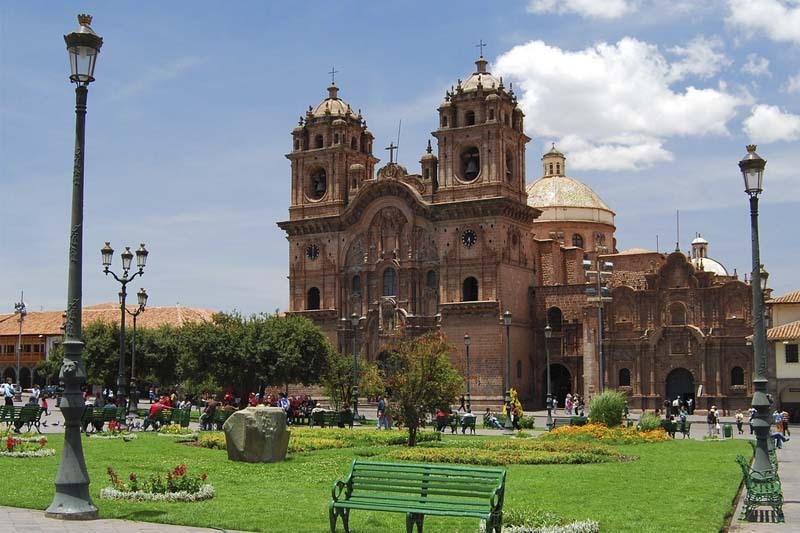 In it you can see some of the most impressive churches of the city, the Cathedral and The Company of Jesus decorate the northeast of the square, the other side is decorated by colonial mansions built on residences and Inca temples. Cusco has 13 churches, most of them are true works of art, and although they are not free (completely), there is a way in which you can enter without paying a single cent and do not worry, it is legal; you will only have to visit them between 05:30 a.m. and 09:00 a.m. At this time “churches are free”; however, if you want to visit the churches outside these hours, you will have to purchase the ticket of the religious circuit of Cusco. Hatun Rumiyoc Street is known all over the world, because it has the famous stone of the 12 angles, is really impressive and must know that it is one of the great enigmas of the Inca civilization; since they were not carved with hammers and bronze chisels, you would end up asking, could the Incas mold the stones?. As we said before, touring the Historic Center of Cusco is like walking through a huge open-air museum. In addition to the incredible Main Square, you can see others such as Square Regocijo, Square San Francisco, structures such as the arch of Santa Clara, etc. Each of the streets of Cusco can tell you an incredible story. With heroes, invaders, traitors rebellions, disbanded and many, many stories of the “navel of the world”. We recommend seeing the 7 streets of Cusco. It is one of the places to go if you want to get into the day-to-day life of the people of Cusco. The old Mercado Central is one of the places where you can have a great experience. It is located 3 blocks from the Plaza de Armas del Cusco and you can enjoy many of the dishes from Cusco, see how they are prepared and also the ingredients; although if you decide to try the “cuy baked” (guinea pig prepared in a wood-fired oven) it is better to eat it before seeing it as an ingredient (in the meat section). You can also find handicrafts and alpaca wool woven garments, sold by people in traditional costumes, who bring them from their native communities to show them to people from all over the world, who decide, like you, to visit the San Pedro Market. It is known as the neighborhood of artists and it is because in it you can find many “artists” and artisans from the families of “artists and artisans” that gave form some of the best works of art in the city of Cusco, from the time of the colony; so we do not talk about only artists, but in many cases, people who have inherited art for generations and who carry it in their veins. There are dozens of handicraft dealers and small art museums where you can enjoy the best of Cuzco art, we recommend you visit the art exhibition of the Mendivil family, this will tell you stories and leave you pleasantly impressed. On Sundays, in the Plaza de Armas del Cusco fairs and presentations are held in which you can see some of the typical dances of the Cusco region, and although some were born only a few decades ago, others are representations that were made from the time of the Incas; you just have to find a place and enjoy the show. Without a doubt this is one of the best ways to soak up the culture of Cusco and Cusco. While you do this, you can enjoy a “Cusqueña beer”.